Get A Free Safety Response Device! Safety Response Device is a small, lightweight safety response device that enables the user to notify contacts in case of an emergency. A small, lightweight LTE connected button that enables the user to notify either a personal contact or a professional monitoring service in the case of an emergency. This is a great device for security-minded people! Did you like this freebie? Want more of these types of freebies? Let us know in the comments on Facebook of what you want us to go ahead and try. Just click on the link below to get this freebie! Fill out the form with your shipping information on the next screen. Submit the form and wait for your freebie! Sign up, it is free! Get Walmart, Starbucks Or Amazon Gift Cards! Amazon Or Walmart Gift Cards For Your Opinion! 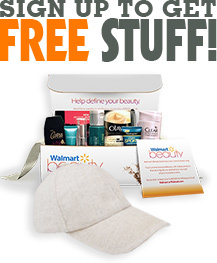 Get A FREE Box of Deluxe Samples! Free SEPHORA COLLECTION Volume ON Mascara! Free Scented Candles Jasmine, Lotus, Lilac Blossoms And White Gardenia! Get A Free JBL Portable Bluetooth Speaker! Free Marvel Figure Color Jelly Case! Get A Free PCA SKIN Broad Spectrum SPF! Free Premium Tea By Republic Of Tea! Free Printer Paper Kit By Greenerprinter! Get A Free Atkins Starter Kit! Free Poppy Fields Scentsy Bar! Free Ribbons, Car Magnet, Temp Tattoos + Wristband By Autoinflammatory Alliance! Free Coffee By Nguyen Coffee Supply! Get A Free Aquaphor’s Ointment Body Spray! Free Gummies By Black Forest! Free Set of 12 Lipstick By SHANY Giveaway! Get A Free Full Size Natural Product From Maple Holistics! ◆ The Bitter Bite of Betrayal (A Foodie Files Mystery – Free eBook!